One topic of conversation that’s been coming up between colleagues and me these past few months is the tarot decks we enjoy using and why we like to use them. Even this morning, a man who’s a fellow member of a Facebook tarot group and I had a chat about decks that really work for us. It turns out that we both honour the Feminine, so we like decks that have a sense of respect for Goddess, female teachers, and the Earth. In addition to that, I find myself using countercultural tarot packs more often. That is, packs of cards that depict a way of living in our world that’s different than our culture’s current status quo. The cards of the Medicine Woman Tarot by Carol Bridges, in her words, “depict women of power and men of love living a life in balance”. The Gaian Tarot by Joanna Powell Colbert aims to provide images that “help create a culture of strong and gentle women and men, working together to create a beautiful, peaceful and just planet.” We’re inundated with images from the advertising industry that tell us we’re not good enough, smart enough, sweet-smelling enough, cool enough, or _______ enough. These exploitative advertisements, whether on TV, online, in publications, or on signs as we walk up the street, encourage us to consume, consume, consume without thinking about or thanking the source/s of these products. To spend time with healing imagery such as that in the decks mentioned above (and many others!) is an antidote to what we’re generally told. To contemplate and be inspired by tarot pictures that show people interacting with the more-than-human communities respectfully and create success in their lives while giving back to our planet helps us to wonder how we, too, might contribute to such a balanced culture and world. I also enjoy decks whose court cards have been revisioned to take us out of hierarchical relationships (e.g. Page, Knight, Queen, and King) and show us a process instead. In Rachel Pollack’s Shining Tribe Tarot, these are called Place, Knower, Gift, and Speaker. The Gaian deck has Child, Explorer, Guardian, and Elder. Carol Bridges has revisioned them as Apprentice, Totem, Lodge, and Exemplar. All of these remind me that our relatedness with one another and with the larger world is not about power-over. With regard to the Major Arcana, the big universal theme cards of the tarot, it doesn’t particularly matter to me whether a deck’s creator/creatrix groups them in any particular way. For me, life’s Larger Mysteries are beyond any particular grouping and each Trump stands on its own. However, I do like the Minor Arcana, the four suits that represent the everyday experiences of life, to have a sense of progression. One of the first serious tarot books I read many years ago, and which is still one of my primary texts, was/is Choice Centered Tarot by Gail Fairfield (now entitled Everyday Tarot). I also use her Choice-Centered Relating and the Tarot a lot. From Gail, I learned to think of each suit as a process, a journey from conception/beginning (Ace) through completion/releasing (King or its re-thought equivalent). So a pack of cards whose Minors progress logically, even story-like, through the fourteen values, make me a happy camper. 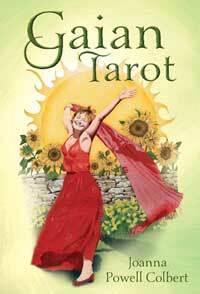 As Carol Bridges says in the guidebook that accompanies the Medicine Woman Tarot, “There are fourteen stages (cards) through which every idea can evolve if it is to be taken to its highest conclusion.” In the Gaian Tarot, Joanna Colbert envisions each suit as having three mini dramas plus a transition point, then the people cards. You can see this sense of progression in Qabalistically rooted decks such as the Tarot of the Spirit by Pamela and Joyce Eakins, too. They follow the path of the Tree of Life as understood in the Western Mystery tradition. All of this to say that if a tarot deck’s suits/elements of life depict a natural flow or progression, it makes me (and my clients!) happy. In short, if a tarot deck helps us to envision a life-sustaining culture, depicts process rather than hierarchy, and has suits whose order tells us a story that makes sense, it will likely end up living with me. How about YOU? What are YOUR criteria for helpful tarot decks? I’m a member of several circle-based groups, which is to say groups that do their best to practise attentive listening, intentional speaking, and curious, compassionate witnessing in consciously woven time and space. Most of them are in person and one of them is online. Many of these groups meet once a month. All of them have nourished me in some way. In one of the circles, I get to try out different rituals and offer a variety of soul-inviting questions with people. Two of them embrace my passion for teaching and learning processes with the tarot. In one of them, we often sit quietly and allow what is truly required that day to emerge from the space within and between us. I’ve called one-time circle gatherings to watch mind- and soul-feeding DVDs and hold respectful conversations about them. I’ve co-hosted retreats whose activities are rooted in circle process. What is the next life-honouring circle that I need to call into being? Please leave your responses in the comments section of this post. I look forward to the next circle letting us know what it is.